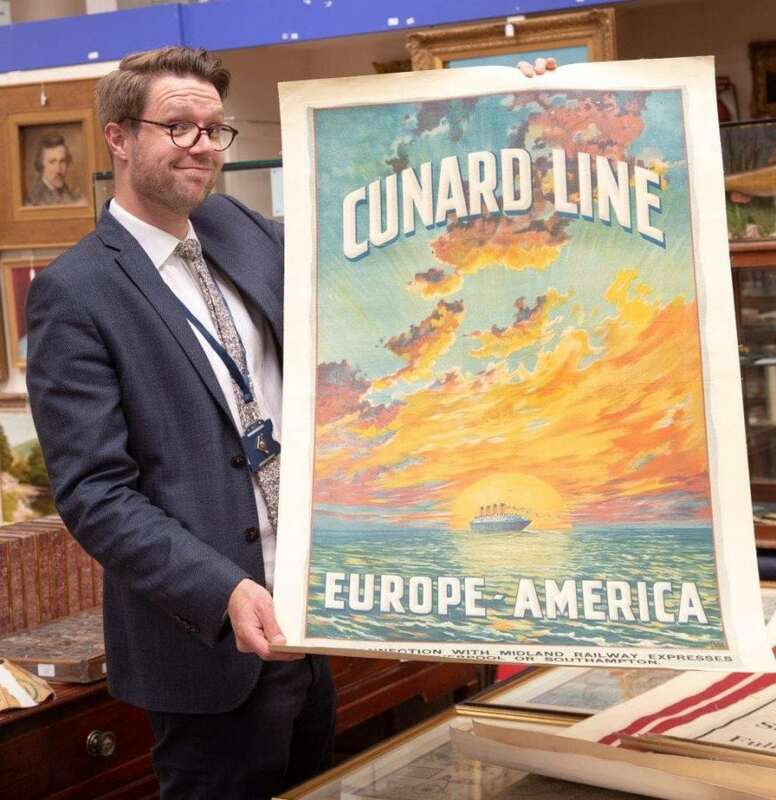 A rare collection of century-old railway posters which give a fascinating glimpse of life for Edwardian train passengers are expected to fetch thousands of pounds at auction. The mint-condition ads, which were never used, were discovered on the roof of a derelict train station. 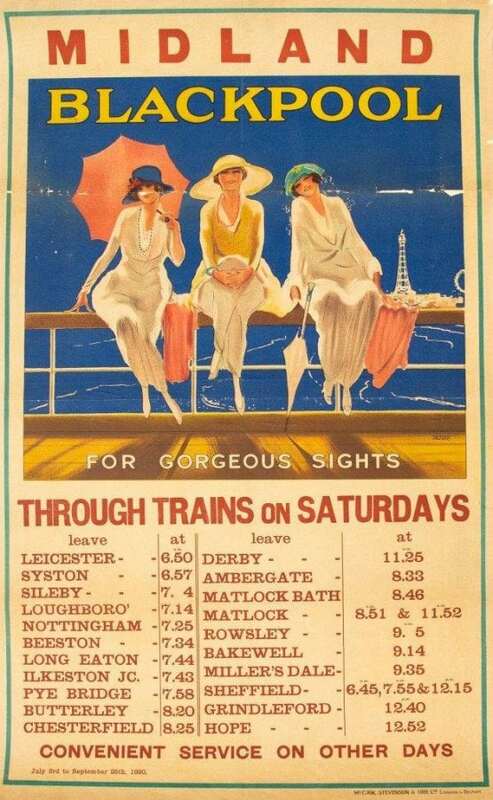 They reveal posters warning passengers about delays to their journeys caused by fog as well as ones promoting seaside holidays to “gorgeous” Blackpool and spa towns including Cheltenham and Bath. 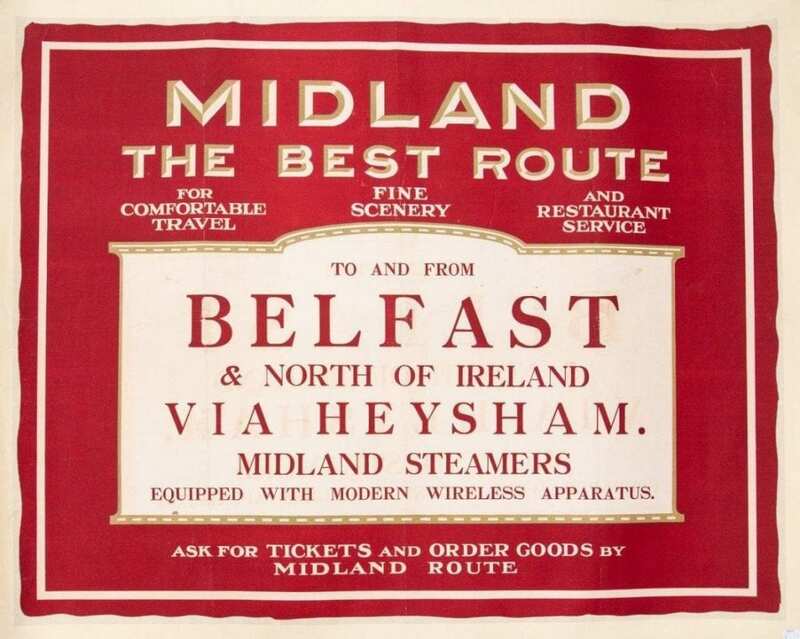 Also uncovered are Cunard and Canadian Pacific Railway Ocean Liner travel advertisements urging people to catch a train to the coast to join a steamer. Dating back to 1910-1920, the posters were produced in and around the First World War, which lasted from 1914-18. 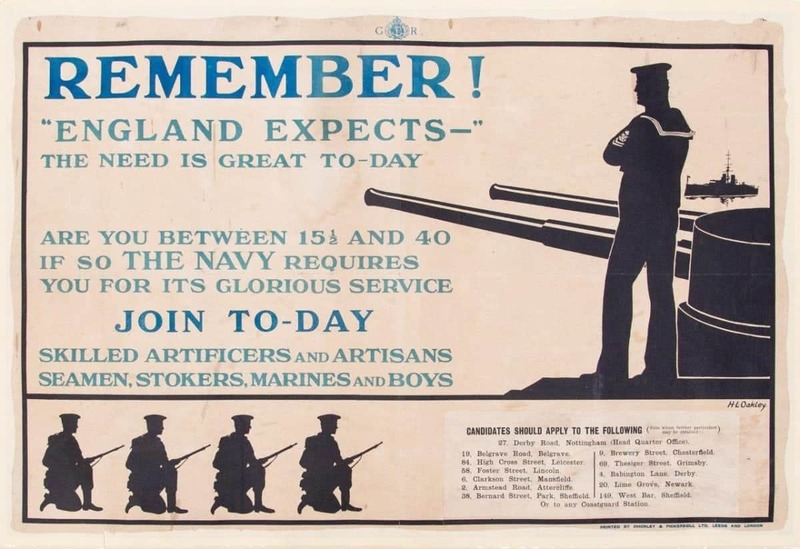 Consequently, they include First World War recruitment posters. The message goes on: “Are you between 15-and-a-half and 40. 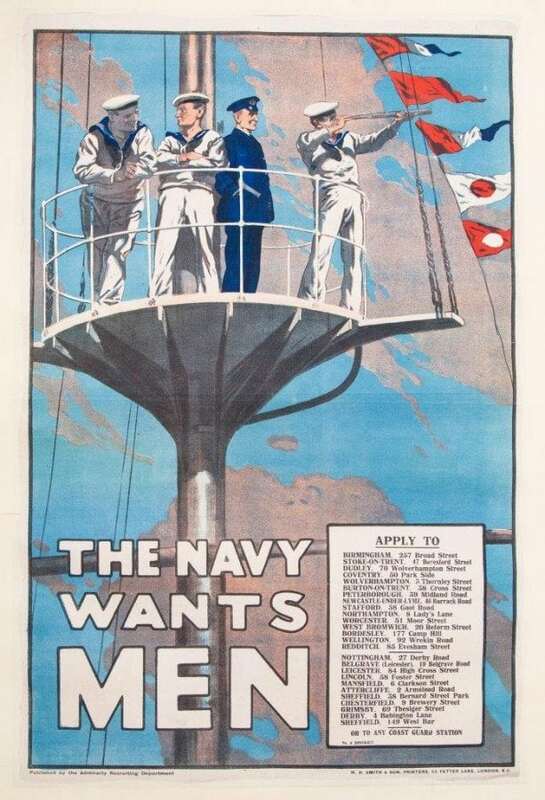 If so the Navy requires you for its glorious service. The stash of unused posters were found by a man from Nottingham during a night out in 1964. They are now being sold by Hansons Auctioneers. Auctioneer and valuer Jim Spencer, said: “These posters are incredible. “They sweep you back to a different time and place, not just in their design but in their use of language and what they were advertising. “The fact that they were never used on advertising hoardings is surprising. They are in pristine condition. “That, together with their rarity and historical value, is sure to make them sought after by collectors. The posters were discovered by chance on a night out more than half a century ago by Chris Hind, 75, a retired businessman from Nottingham. 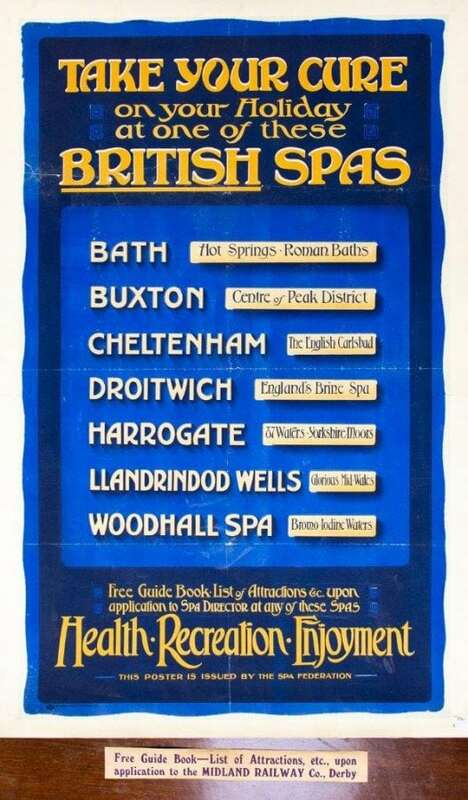 He said: “I found the posters in the loft at Edwalton Station, which opened in 1879. “Edwalton is a tiny village on the outskirts of Nottingham. I rescued the posters just before the station was demolished to make way for housing in 1965. “One night in 1964 I was having a meal with friends at what was the Edwalton Hall Hotel when we went for a walk in the gardens. “These were the day when pubs locked up at 10.30pm and, when we got back to the hotel at 10.45pm, we found ourselves locked out. “So, we went to the bottom of the gardens, jumped on to the railway line and walked to the old station to enable us to get back on to the road. “I was a 22-year-old Cambridge undergraduate at the time. We had all the confidence of youth, but not necessarily a keen sense of danger. “When we reached the station, we walked through the old ticket office and I saw some paper that had fallen through a hole in the ceiling. “I realised they were station records so went back the next day, made a makeshift ladder and climbed into the loft. “It was there that I found around 40 posters. They had been sent to the station to be displayed but had never been unfolded. “I wrote to British Rail to ask permission to see if there were any old station records in the loft. “They wrote back and said there would be no point as there was nothing there. The posters, which are expected to fetch thousands of pounds, will be sold on July 2.